This simple project, presented here as a master pattern, is the perfect starting point for knitting in the round. Choose the desired circumference of your cowl, make a gauge swatch to determine your cast-on number, and away you go! You can knit this cowl in plain stockinette stitch and allow it to curl at the edges, or add a simple border of garter stitch to control the natural roll of stockinette stitch. You can also knit it in a variety of stitch patterns; it lends itself well to lacy, open designs. This cowl is circular in shape. You can make it any circumference and height you want. The circumference is determined by the number of stitches you cast on; the height is determined by how many rounds you knit before you bind off. The L and XL sizes are intended to be wrapped twice around your neck. Needles: One 16-inch (or longer) circular needle in the size needed to get your desired gauge. Yarn: You can use virtually any weight of yarn for this project. The number of yards you need will vary, depending on gauge, stitch pattern, and the size of the cowl. The table gives you a rough estimate of the yardage for a 20–50” cowl that is approximately 12” tall. If you plan to use this stitch patterm on your cowl, be sure to cast on a number of stitches that is a multiple of 14. If you plan to use this stitch pattern on your cowl, be sure to cast on a number of stitches that is a multiple of 17. It is best to work this project using one circular needle in the traditional method. 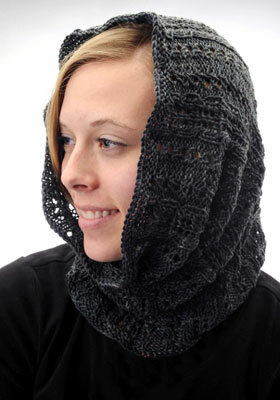 You can work smaller cowls on a 16-inch circular; larger cowls will fit better on a 32-inch circular. However, if you do not have the correct length of circular needle to fit all of your cast-on stitches, you can use two circulars or the magic loop method. 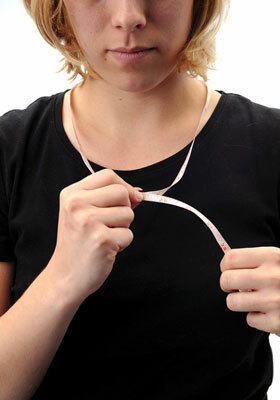 Drape a tape measure or a 50-inch piece of string around your neck and arrange it to find your desired cowl circumference. This master pattern offers sizes ranging from 20 inches all the way up to 50 inches. The smaller cowls will fit once around your neck, and, if you knit it to a sufficient height, you can pull it up over the head as a snood. The 32-inch cowl can drape gracefully around the neck as both a fashion accessory and a buffer against the cold winter winds. The two largest sizes are large enough that you can wrap them twice around the neck for added warmth, or once around the neck as a dramatic accent. When choosing yarn for your cowl, consider the purpose you want your finished project to fulfill. If you are seeking a year-round accessory, choose a yarn that reflects that; cotton, rayon, or silk would be comfortable just about anywhere. If you want a cowl item that’s suited for cool-weather wear, try wool or another animal fiber. Think about color as well; a simple stockinette cowl will show the colors of a variegated or self-patterning yarn to best advantage, while a solid or semi-solid color yarn is more appropriate for a complicated stitch pattern. After choosing your yarn, consider a stitch pattern. You can work this cowl in stockinette stitch, one of the lacy patterns presented in Cowl B or C, a stitch pattern, or a pattern of your own. Once you’ve chosen a stitch pattern, make a swatch in that pattern to determine your gauge and your needle size. Your gauge will determine the number of stitches you cast on to achieve a given size. Bear in mind that your total number of cast-on stitches should be divisible by the number of stitches in your stitch pattern. For example, if your stitch pattern is 12 stitches wide, round the cast-on number from the table on the next page to a multiple of 12. Using the long-tail cast-on, cast on the number of stitches specified in the table for your gauge and desired cowl size. Arrange your stitches on the needle and join for working in the round, being careful not to twist the cast-on around the needles. Place a marker to indicate the end of the round. If you want an edging, work a few rounds of garter stitch as follows: *Knit 1 round; purl 1 round. Repeat from * once. Begin to work in stockinette or your chosen stitch pattern until the cowl measures the desired height from the cast-on edge. Try 12–24 inches for a single-wrap cowl and 8–12 inches for a longer cowl. The cowl should be at least 18 inches tall if you want to wear it as a snood. Bind off loosely. Weave in yarn ends. If you chose a lace pattern, it is especially important to block your finished item to open up the lace.